Americans have a love-hate affair with calories. At any given moment, more than 4 out of 10 of us say we’re on a diet, yet we are gobbling 300 calories more each day, on average, than we did 20 years ago. And calorie counts sometimes dominate our lives: We choose workouts based on how many calories they burn, shop for calorie bargains at the grocery store, and blame holiday calories for our widening waistlines. But do we really understand when calories do—and don’t—put on pounds? Take this true/false test and see how you score. 1. 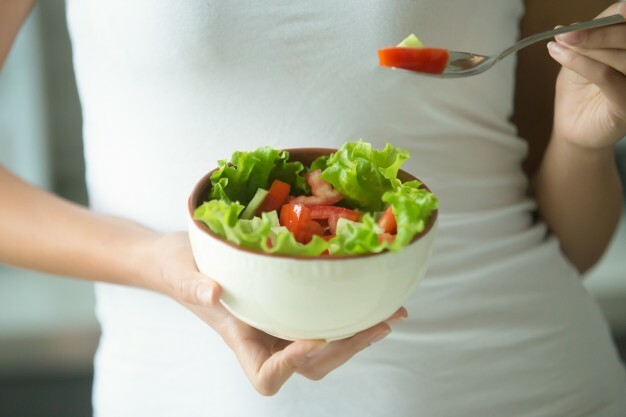 True or False: Women trying to lose weight should eat no fewer than 1,200 calories a day. True. It’s the lowest, yet still safe, calorie level for weight loss, says Elizabeth Somer, RD, author of 10 Habits That Mess Up a Woman’s Diet. Take a multivitamin to fill in some of the nutritional gaps, since nobody eats perfectly. Extreme dieting on 1,000 calories or less is a recipe for failure: The weight won’t stay off. Plus, shedding pounds too quickly can throw your body chemistry off and increase the risk of heart problems and gallstones (ouch!). 2. True or False: Most people have a pretty accurate idea of how many calories they consume. False. People typically underestimate how much they eat—sometimes by up to 700 calories a day. “But most of us tend to be off by about a third,” Somer says. 3. True or False: Excess calories go straight to your hips. False. They go straight to wherever your genes tell them to. Could be your waist, could be your chin(s), could be anywhere, including, yes, your hips. But the decision’s genetic, not caloric. A calorie is simply a measure of energy, and if you don’t need that energy right away (to sprint for a bus or build new cells, for example), it’s stored—as glycogen—in the liver and muscles. When those storehouses are full, excess calories are warehoused as fat in whatever areas your genes favor: sweet cheeks or chubby knees. 4. True or False: Fat calories pack on pounds faster than carb calories. True, if the calories are excess calories—that is, more than your body needs. What accounts for the difference? It’s really easy for your body to convert excess dietary fat into body fat—the process burns as little as 3% of the calories involved. But converting the calories in carbs and protein to fat is far harder and burns up to 23 percent of the calories in the process. That’s why excess fat calories bulk you up faster than excess carb calories. 5. True or False: Calories eaten at night are more fattening than calories consumed during the day. False. Calories eaten at night aren’t any more fattening—but they are more tempting. During a jam-packed day, you may barely think about food. But when you get home, you’re tired, you’re hungry, you want to relax, your resistance is down, and suddenly, everything in sight looks good. Whether you’re contemplating a lovely meal or a quart of ice cream for dinner, it’s easy to overeat after dark. Diversify your diet for a younger, healthier you.